There are 3 speed options! This may be a bit biased because I do have an older model to compare. The original came with 1 speed, which I think it's the "universal" speed now in the Clarisonic cleansing system. It works fine, but I am really enjoying the options I get from the Aria (delicate, universal, and powerful). I would use the powerful speed once a week for a deep cleanse (may increase to twice if it was a bad skin week), and alternate between delicate and universal for the rest of the week. It has an adjustable T-Timer! 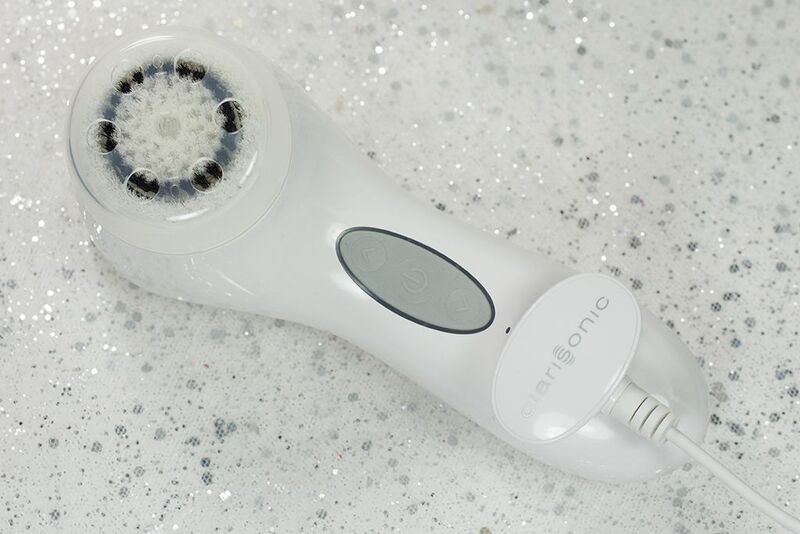 All the Clarisonic cleansing devices come with a T-Timer to help you manage the time you spend on each area on your face. However, not all of them come with an adjustable T-Timer, this means you can adjust the timer to 2 minute from the 1 minute manufacture setting (which is the recommended 20 seconds on forehead, 20 seconds on the middle of the face including nose and chin, and 10 seconds on each cheek). To change it it's simple, just push the up button while Aria is off until you hear two beeps. It's designed for both at-home and travel use! It's only because that I have used the original Clarisonic to know the difference in weight. 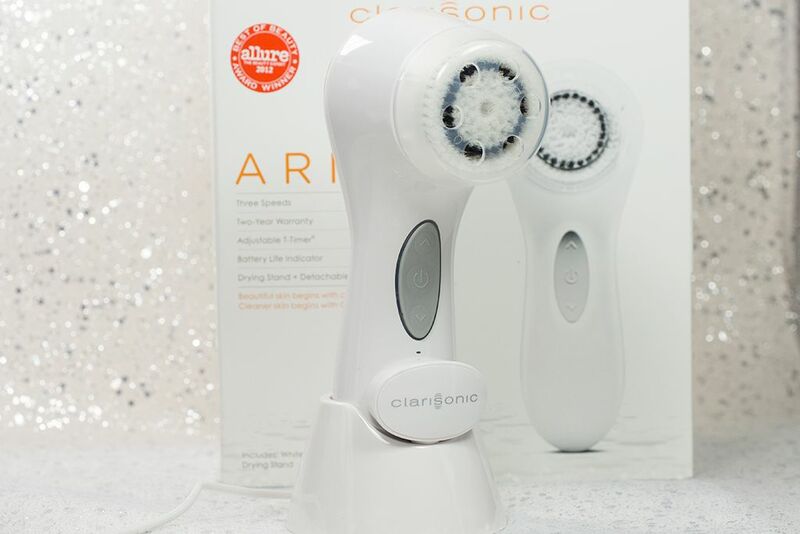 The Clarisonic Aria is so much lighter than the original makes it travel friendly. It comes with a pLink charger that can be connected to any USB outlet. You can connect it to your your laptop if you're travelling and there aren't enough electrical outlet for everything or if you just want to pack one less thing. This definitely makes charging easier when you travel. Of course, it comes with an adaptor to connect with electrical outlet and a stand to hold your Clarisonic in place so it's definitely made for home too. It's an investment that will last you for a long time! 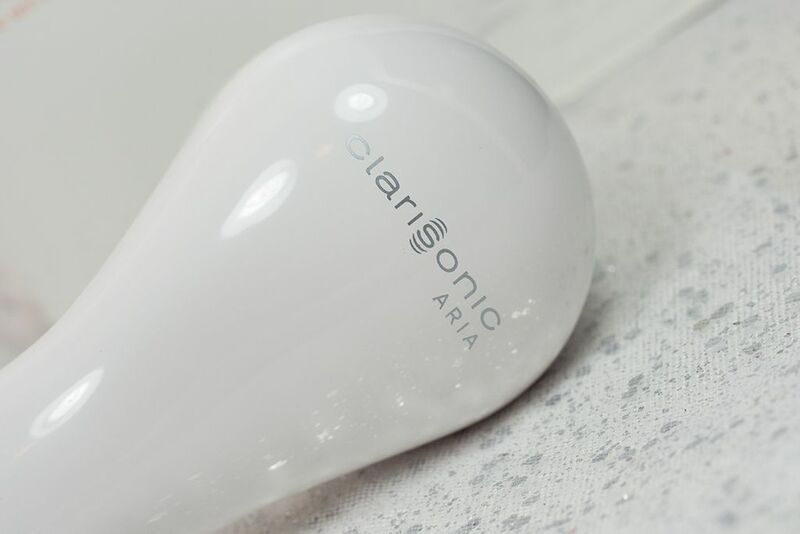 While I can't speak for the Clarisonic Aria just yet, my experience with the Clarisonic was really great for the past five years. My original one, like I said, is still going strong after frequent usage over the past few years. I remember it costs me about somewhere about $200 for the original Clarisonic, after that many years of uses (to be conservative, say I use 150 times for 5 years to illustrate), the cost per use is only $0.30. It's definitely worth it in my view. So if Aria continues the legacy of the original one, it will be another 5 years till I get the newest model. 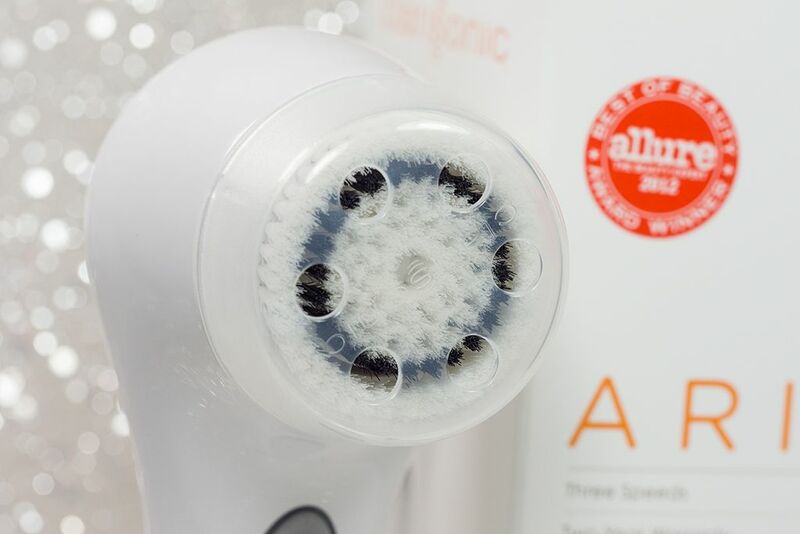 It's the deep cleanse that your skin will love! I have mentioned before how much I like Clarisonic. I really can tell a difference when I stop using it for a while, which has happened multiple times due to laziness. It claims to remove 6x more dirt than regular cleansing. I can't tell if the number is true but I feel that my skin is more refreshed after using it. It also only take a minute to cleanse using the Aria. My brush head of choice for a deep cleanse is the Deep Pore Brush Head. You can also choose from Delicate, Sensitive, Normal, and the new Acne brush head. They have also ventured into an anti-aging Opal Sonic Skin Infusion System (CA $215 / $185) and Pedi Foot Transformation Set (CA $250 / US $199). I have heard so much about the Opal system, my friends said it feels so good on the eye even just for massaging serum on, it feels good. I would love to try that out soon. But first, the Luxe High Performance Brush Head Collection (CA $102 / US $85) because they are described as angel kissing your face. You gotta at least pet them in store lol. All of the Clarisonic devices are available at Sephora, Hudson's Bay and Clarisonic.com (or Clarisonic.ca), some devices are available at Shoppers Drug Mart. Of course, if you're in Toronto or Montreal, check out their counters at Hudson's Bay. 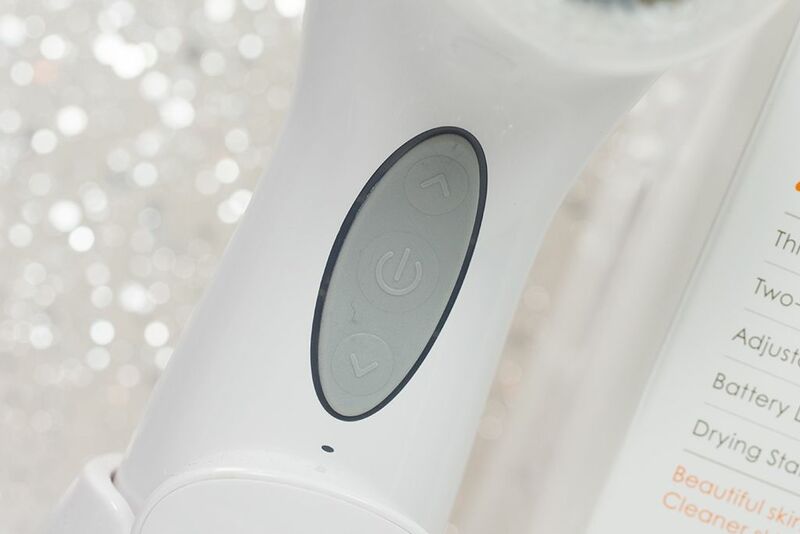 I love my Clarisonic Mia 2 - totally worth every penny! I still have my original Mia and it's also still going strong! I'm planning on getting one as a birthday gift to myself this year. I've been wanting one for a while now to see if it helps with my complexion. 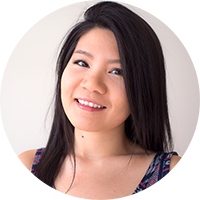 I have a Clarisonic Mia and it has definitely made a difference in my skin. It feels much smoother and I swear that my moisturizer penetrates better! I want to try clarisonic so much! must have.